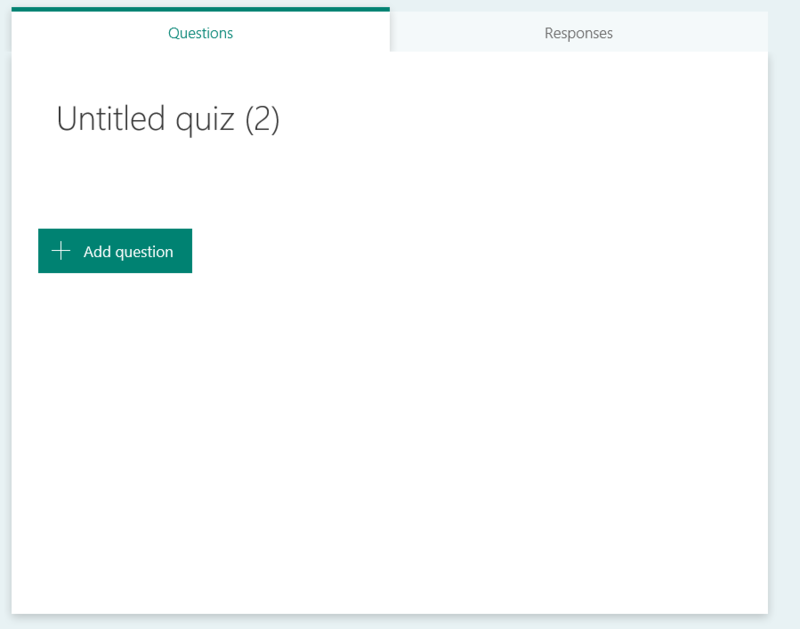 In Microsoft Forms it is possible to create Quizzes and Forms. there isn’t too much of a difference between the two. The main difference is the way the responses are received. 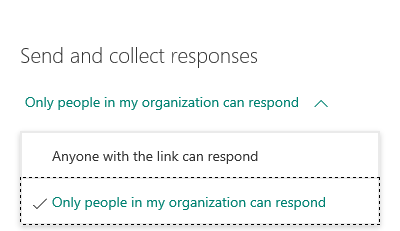 Within quizzes Microsoft forms gives you the option to specify the correct answers. 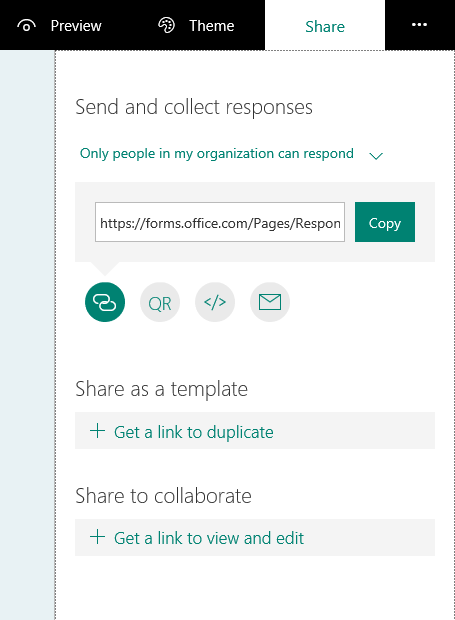 So in this post I’m going through the options currently available in the preview version of Microsoft Forms.These forms you can then include in for example Microsoft Teams as I showed in yesterday’s post. Then first of all you get a form where the title hasn’t been set yet. So I clicked on upload and … Well the circle of hope is working. After a bit of a play around I found that you want to be very careful not to upload to large images. Also the images are best to be square or almost square. Now that we have the title set it is time to add some questions. Like with forms you have some options here. 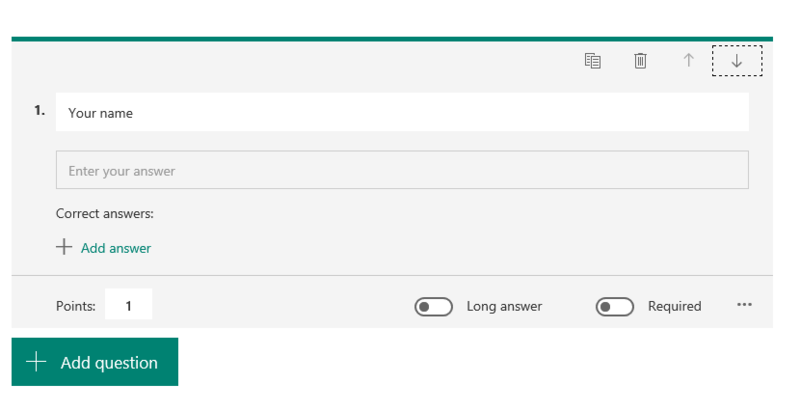 you can create questions as multiple choice, text, rating or date. 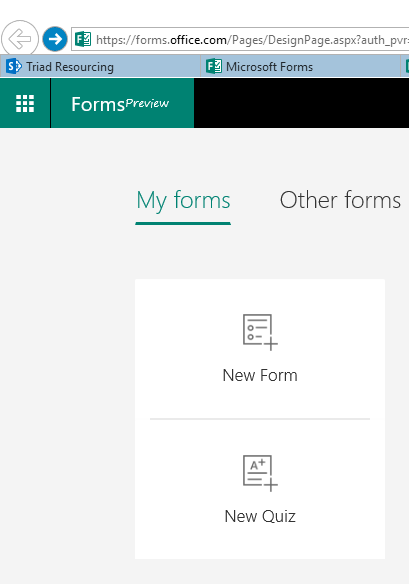 The same options as for the Forms are used here. In the above example I created a free text form and supplied the correct answer. 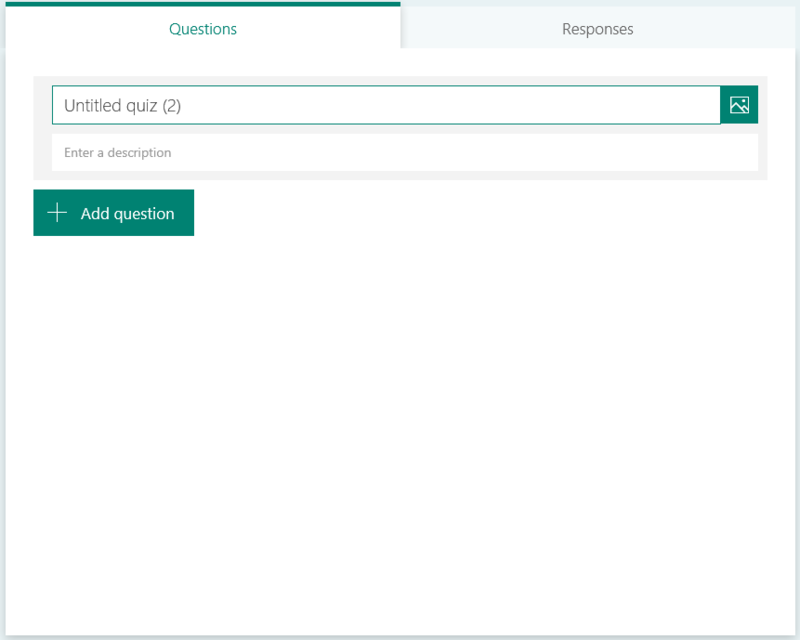 Also, in quizzes it is going to be tricky to get the text answers right. If we go back to the Reindeer question above, this isn’t going to help if someone gives the answer “Robert May”. So we might need to manually check the answers. We will have a look at that further down this post. Now that I’ve been complaining about half the options available it is time to move on. 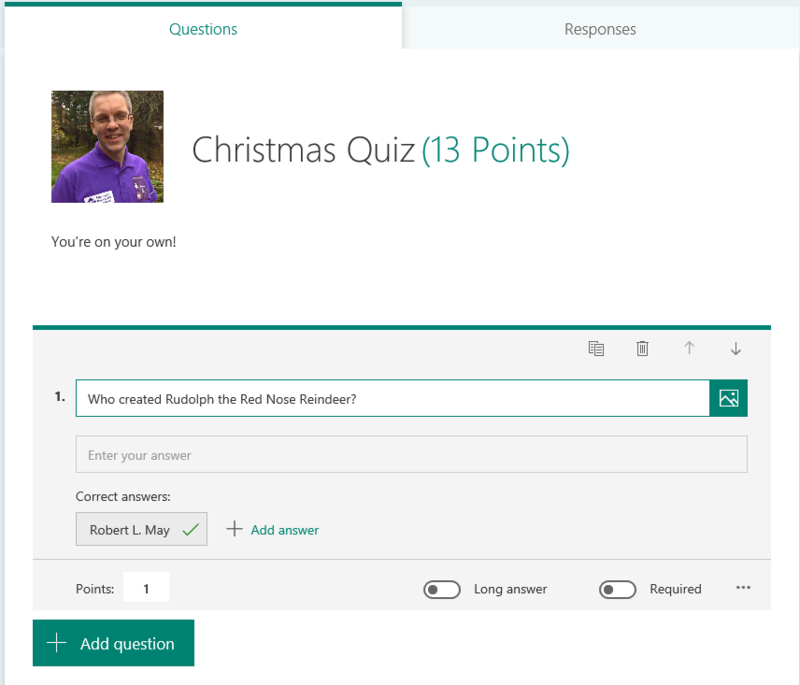 It is time to share my Christmas Quiz. 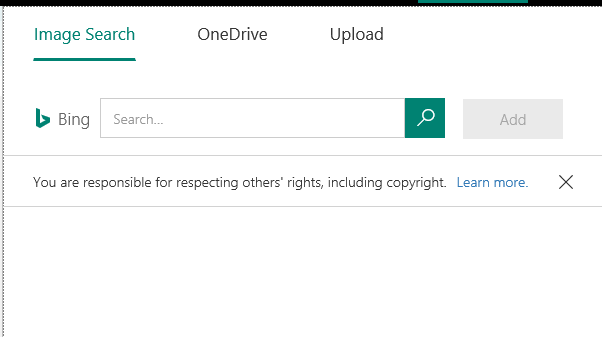 This is where Microsoft forms is really moving into the right direction. 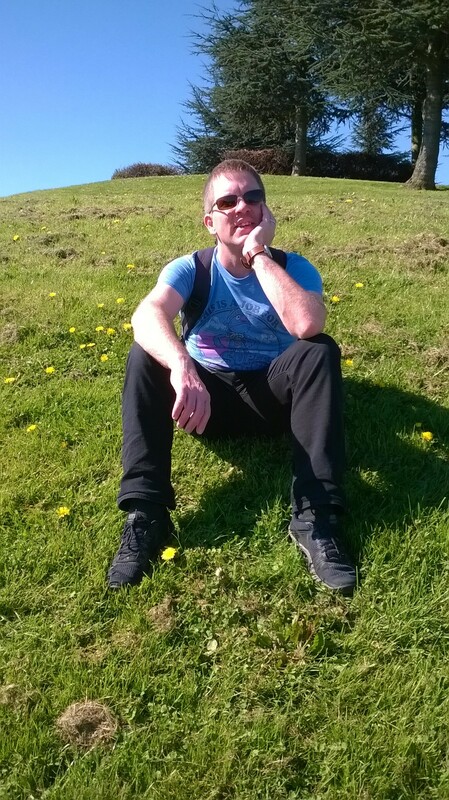 The above link is the link to the actual quiz so feel free to complete it. Now that the quiz is complete I will look at the quiz reports in my next post. 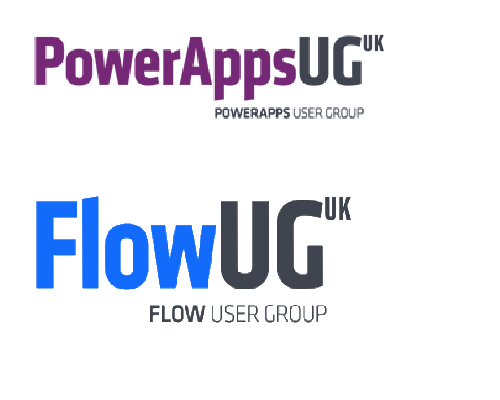 ‹ Microsoft Forms – Microsoft Teams, Microsoft Forms and SharePoint all in one.